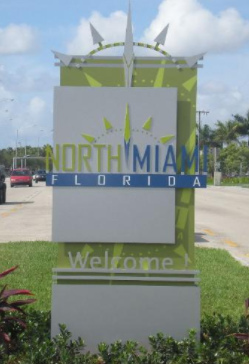 The City of North Miami is just north of the Biscayne Park line at 121st St, North to 163rd St (North Miami Beach Blvd), West to Biscayne Bay and East to i-95 are the general borderlines of North Miami. The city itself is very old, dating back to the 1920s when it was formally known as The Town of Miami Shores and then later, The Town of North Miami. What was once farmland in the late 1800s and early 1900s, later became a housing boom for veterans returning home from WWII and was once the fastest growing city in Florida. The East Coast railroad cuts right through the Eastern Part of North Miami along Biscayne Blvd. The City of North Miami has one of the highest Haitian populations in the country (over 30%) and it is not uncommon to hear French/Creole being spoken at local stores. For commute purposes, NE 123rd Street is the major artery for North Miami and has its own ‘downtown’ where you’ll find many antique shops, ‘mom & pop’ stores and city hall. 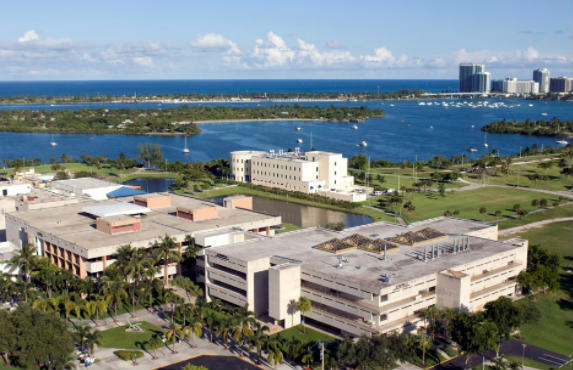 Schools – Home to FIU’s Biscayne Bay campus which focuses on Hospitality and Journalism. The school sits right on the edge of Biscayne Bay and provides a beautiful area to run/walk around the bay in-between classes. The path is open to the public and its not uncommon in the evening to see people running/walking/bicycling around the bay from your classroom windows. Johnson & Wales also has a campus in North Miami, just west of Biscayne Blvd near 124th Street. Just down the street is Alonzo & Tracie Mourning High School, and the A-Rated David K Lawrence K-8 center. Essentially, when SoleMia opens (see below), your children could grow up in the area and walk to every grade, from Kindergarten to College! 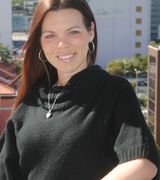 Other schools include North Miami Elementary, Middle, and Senior High Schools. Popular areas of North Miami include Keystone Point & San Souci. Keystone is a guard gated yet public enclave of homes East of Biscayne with many of them on the canals or bay with ocean access for boaters. After the housing crash, a lot of investors have scooped up the older homes in the community, renovated them, and now its very hard to find anything under $500,000 in the area and under $1ML for waterfront. But when compared to other areas in Miami for a waterfront home with ocean access, it is still a relative bargain. 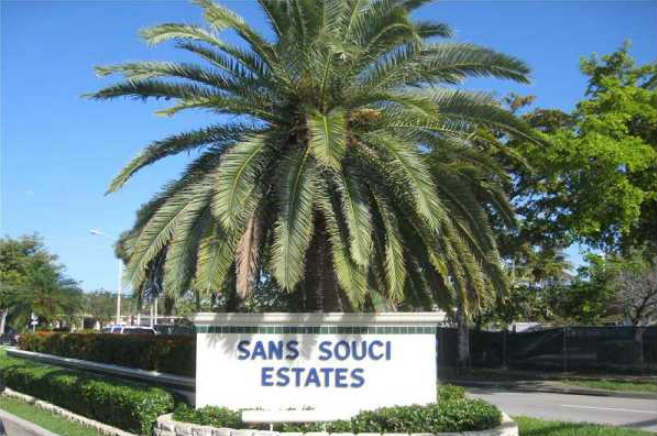 While San Souci is just South of 123rd St (a major road in North Miami), there are many waterfront townhomes as well as homes/condos to choose from. SoleMia – Over 1 Million Square feet and the largest residential/mixed-use project in the U.S. The development will have everything from shops to restaurants to high-rises, even man-made lagoons for water skiing! This development will completely change the North Miami area, specifically everything around 151st street.